Earlier this week, CAPTRUST CEO Fielding Miller participated on a panel of industry notables discussing the implications of the Department of Labor's (DOL) recently released regulations intended to eliminate conflicts of interest for retirement plan sponsors and participants. The panel was part of the agenda at the National Association of Plan Advisors' 15th Annual 401(k) Summit held in Nashville. InvestmentNews picked up the story on 4.19.2016. The panel also discussed the new rule's impact on individual retirement account (IRAs), which, when the rule becomes effective in April 2017, will be subject to ERISA's "best interest" fiduciary standard. They agreed that "there will likely be less rollovers as fewer brokers and advisers recommend rollovers, and more participants will keep their money in-plan as a result," the article says. 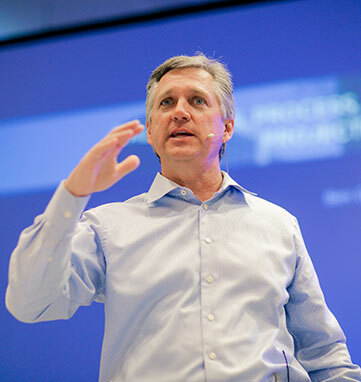 Miller addressed CAPTRUST employees at the firm's quarterly SYNERGY meeting on Monday. During his remarks on the topic, he said "The new fiduciary rule will force other advisors to rise to the standards that CAPTRUST has upheld since its founding. We'll have to adapt to the new rules, but this is great validation of what we've been doing." Click here to read the full InvestmentNews article.